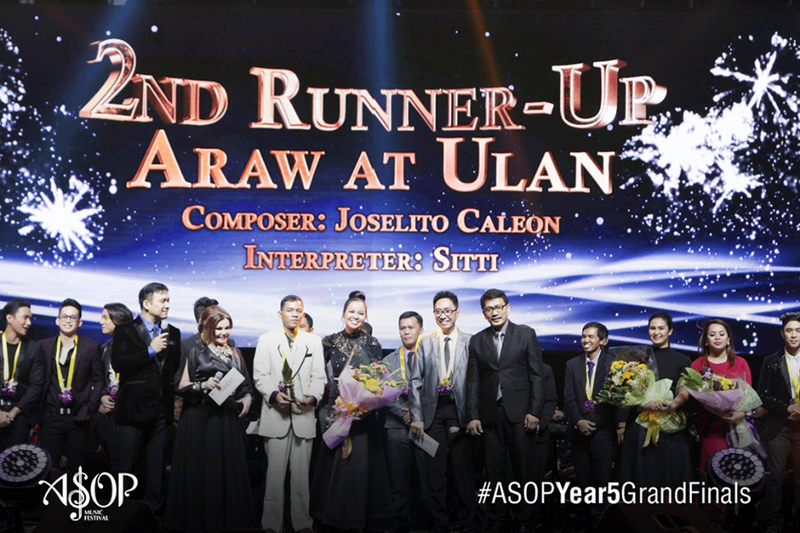 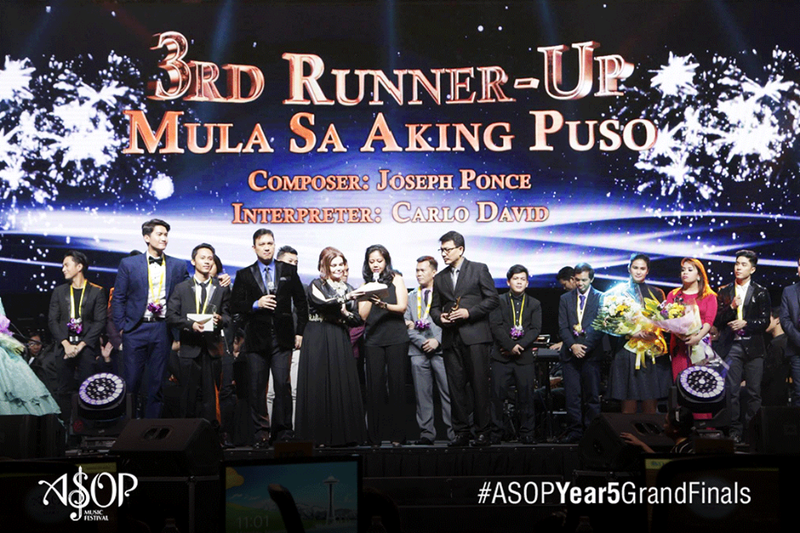 UNTV's A Song of Praise (ASOP) Music Festival has revealed its winners at the finals night held at Smart Araneta Coliseum on November 8, 2016. 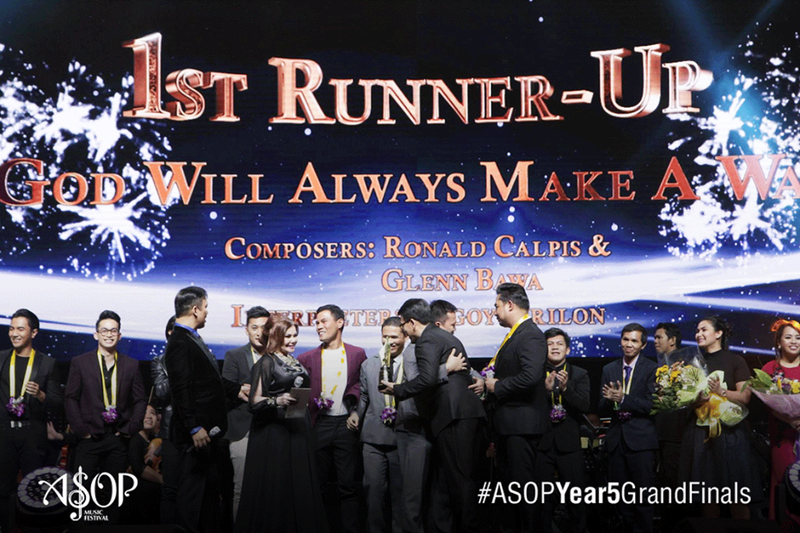 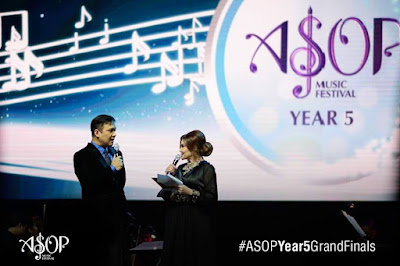 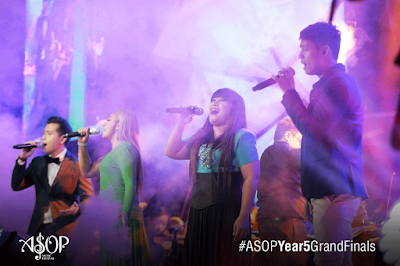 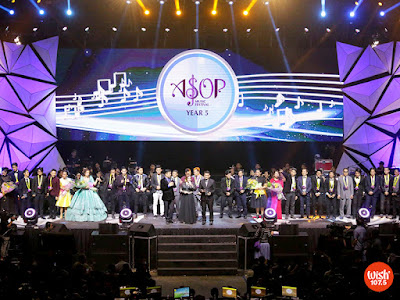 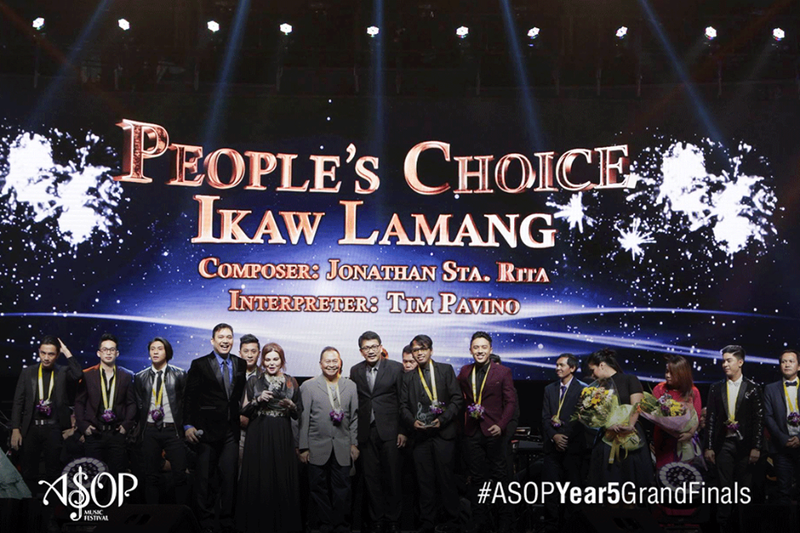 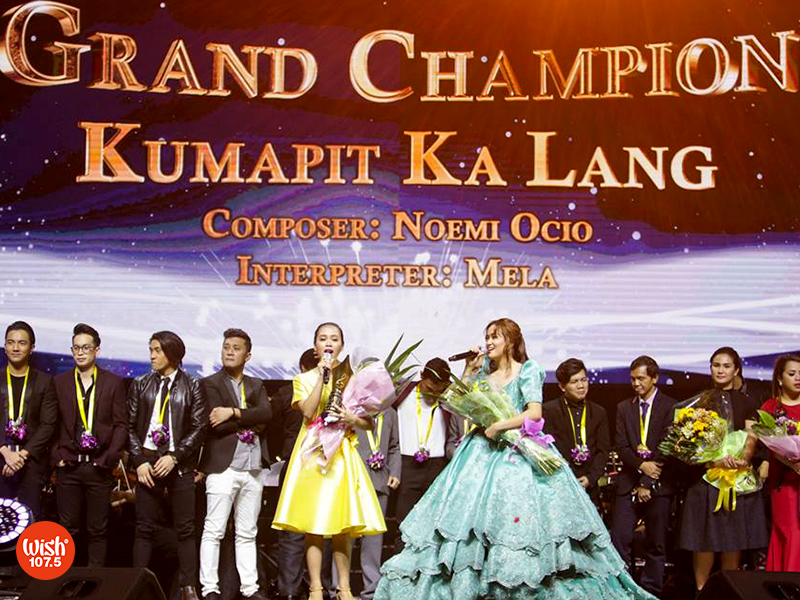 The song "Kumapit Ka Lang" composed by Noemi Ocio and interpreted by Mela was declared Song of the Year for ASOP 2016. Hosted by Richard Reynoso and Toni Rose Gayda, the songwriting competition is on its fifth year. 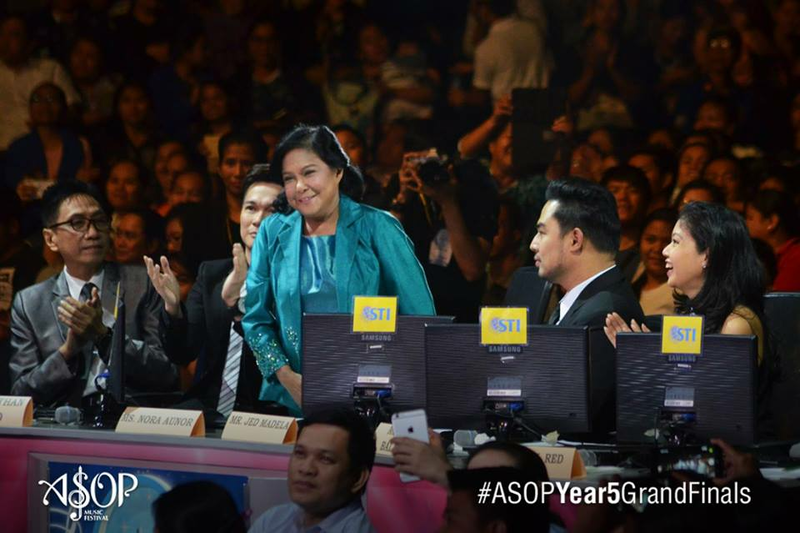 The judges in the panel were: Isah Red, Trina Belamide, Jonathan Manalo, Mon del Rosario, Jed Madela, and Nora Aunor. 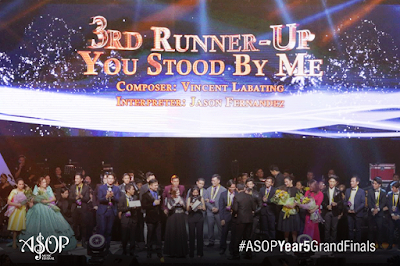 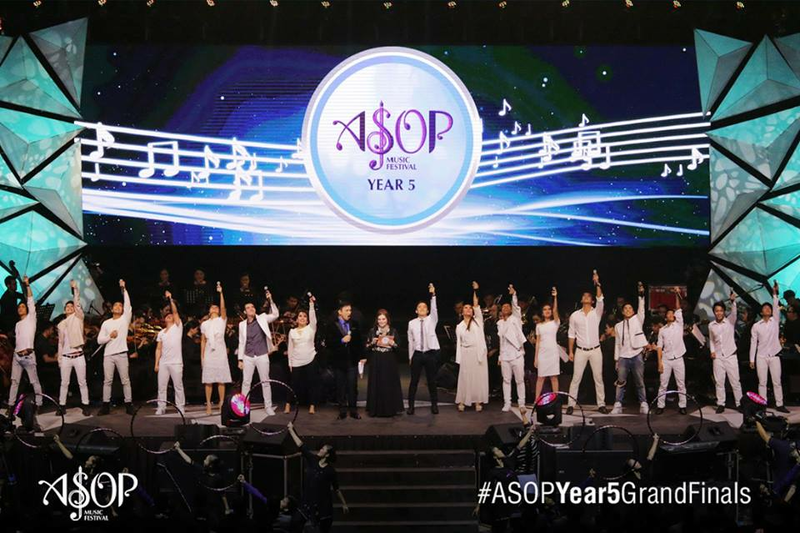 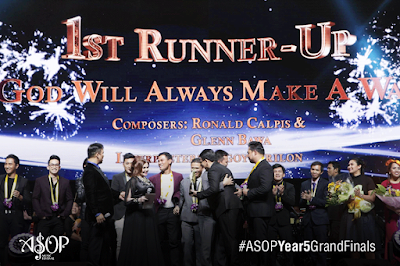 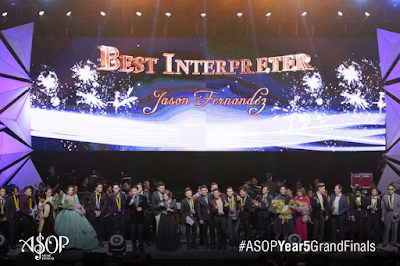 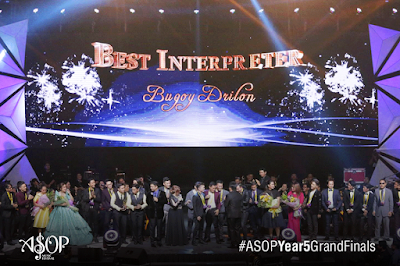 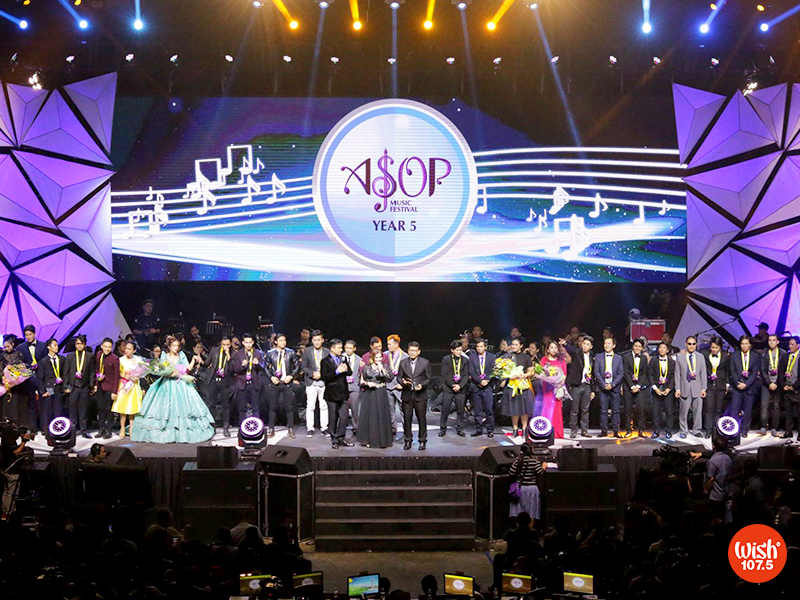 Two spectacular production numbers were presented to pay tribute to previous ASOP song finalists. 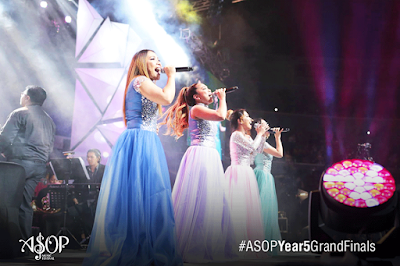 X Factor UK 2015 finalist 4th Impact (Almira, Irene, Mylene, Celine) sang a powerful medley of ASOP grand prize winners: “Purihin Mo Ang Dios, Oh Pilipinas” (Year 1), “Ikaw” (Year 2), “May Awa and Dios” (Year 3) and “Kung Pag-ibig Mo’y Ulan” (Year 4). 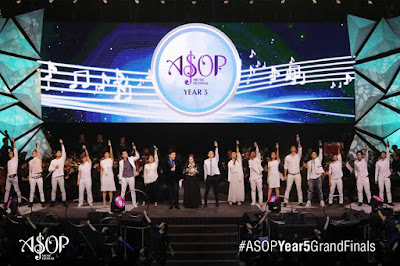 In the second part, Jason Dy, Michael Pangilinan, Liezel Garcia and Leah Patricio sang a powerful medley of ASOP Year 4’s top 12 song entries.